Before signing the security audit logs, you will first need to enable the security audit logs. Signing the security audit logs prevents unauthorized write access. Encypting the security log files prevents unauthorized read access. In the left panel of the WebSphere web console, expand Security and select Security auditing. Select Audit record signing configuration. Select a keystore and select OK. 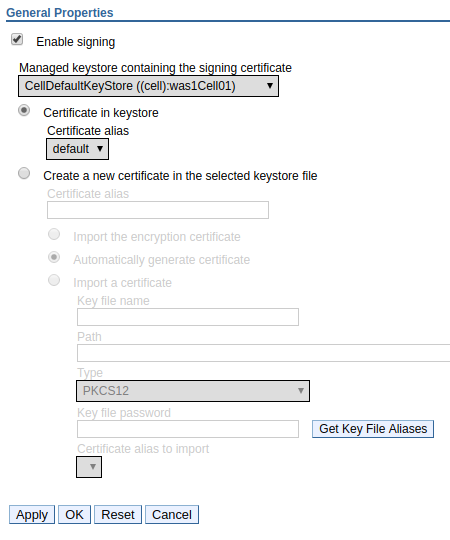 In this example, the audit logs will be signed using the cell default keystore.